This was originally posted on my other blog, www.eatingthecheshirecat.co.uk. You may have noticed that I haven’t blogged much lately. This is because I’ve been busy creating a little person and trying to master the basics of raising said little person. This is Isla. She poos a surprising amount for someone who weighs less than 10lbs. She can burp like a grown man. Her likes include the sound of the hairdryer, sucking on her fingers and being danced around the house. I think she is perfect. 1. The old wives’ tale is true – spicy food really does induce labour. The day after my due date, I went to Nando’s for dinner and covered my beanie burger with lots of hot sauce. Six hours later, I went into labour. I realise that this doesn’t actually prove anything, but I like to think that the sauce helped move things along. So thank you, Nando’s, for your liberal self-saucing policy. Also for your peri-peri spice chips, which are delicious. 2. Labour is really, really painful. I’ve seen lots of movies where women in labour sweat and swear and scream at the top of their lungs. This should have tipped me off about what to expect, but I was convinced that labour wouldn’t be that bad. I’d been having Braxton Hicks contractions (‘practice’ contractions that can feel like menstrual cramps) for weeks before having my baby and I figured labour contractions would be pretty much the same, just more frequent. Eventually I was moved up to the labour ward, where I was able to dull my pain with gas and air, though not even laughing gas can make labour an enjoyable experience. If I had to describe labour to someone who has never been through it, I’d say that it feels like trying to take the biggest, hardest poo of your life for HOURS. You don’t think it will ever end, but when it does, you know that it was all worth it. “You are the hardest and best thing I’ve ever done,” I said to Isla when I first met her. She screamed in my face and I kissed her on her goopy head. 3. Being a parent means finding joy in the weirdest of things. 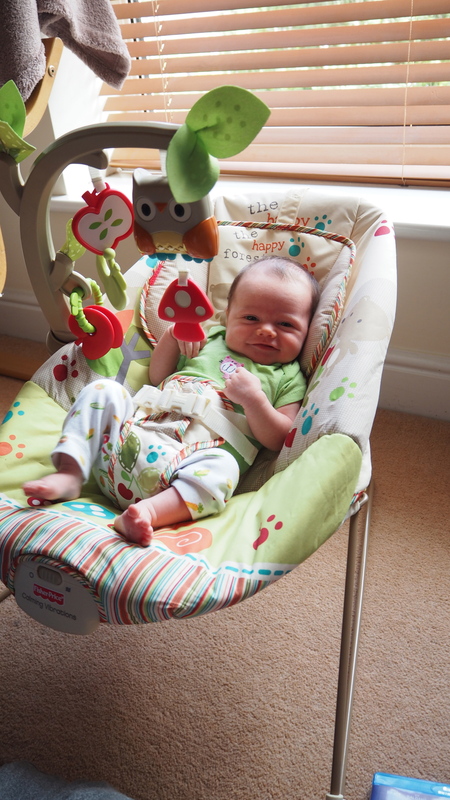 You will find yourself getting really excited about poo, especially in the early days, when multiple dirty nappies and changing poo colour are an indication that your baby is feeding well and getting the nutrients that they need. “I’m so proud of you,” you will say to your baby after a heavy poo-filled nappy. They will often respond by peeing all over the changing table and themselves. Sometimes you will manage to catch the pee in a nappy before it gets everywhere. Then it’s time to be proud of yourself. For the first week after I brought Isla home, leaving the house seemed impossible. My first attempt to take her outdoors – a walk round the block with the pram – felt monumental. The next time I went out, we walked a little further. Then I took her to city centre. Then I took her to Tesco. Then we went to Mothercare – in a taxi! Every day I try to do something new that scares me a little bit. Sometimes it goes well (a walk with her in a Baby Bjorn) and sometimes it doesn’t (lunch in a swanky beer garden where she screamed the entire time). Regardless of how it turns out, it’s all part of figuring out this whole life-with-a-baby-thing. 5. You will love this little person more than you could have ever imagined. The love you have for your new baby is overwhelming and all-consuming, even when they’re screaming in your face and you’re not convinced that they love you back, or even like you very much. This love can make you very emotional. You may cry during a particularly harrowing episode of Game of Thrones, a Bryan Adams song or a Bank of Scotland advert. This isn’t normal, but then again neither is what you’ve just been through. You’ve pushed a human being out of your lady parts and your life will never been the same again. Congratulations! Now let the adventure begin.